Ah, critics. Often wrong, never in doubt. In 1971, writing about Follies in the Times, Walter Kerr barely mentions Sondheim and when he finally does, it's to dismiss the score as "ordinary." Oops. Hard as it is to believe now, for many years the glib consensus on Sondheim was that he wrote witty lyrics, but the music wasn't melodic, wasn't memorable, wasn't something. Art versus commerce is a central theme in Sondheim's 1984 musical Sunday in the Park with George; it was a real-world recapitulation when Jerry Herman won the Tony for Best Score over Sunday in the Park. Oops. 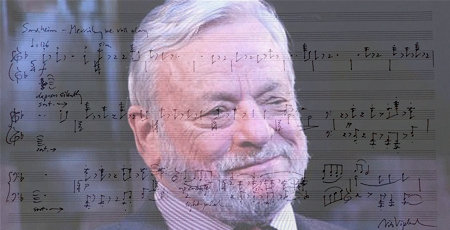 Mr. Sondheim is now 85 and his extraordinary gifts as a composer are a given. Hear for yourself the extent of his influence on musicians of all stripes in the forthcoming (September 25), three-disc set Liaisons—Sondheim songs reimagined for piano by 36 composers, including William Bolcom, Nico Mulhy, Steve Reich, Jason Robert Brown, Duncan Sheik, Wynton Marsalis, Ricky Ian Gordon, Gabriel Kahane and Thomas Newman. It's also a thrilling glimpse into the future, in which you can hear and imagine Sondheim's work inspiring musicians yet to come. 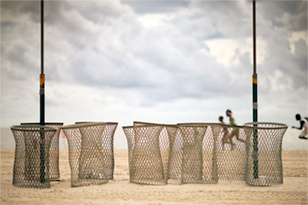 The project was put together by Anthony de Mare, who performs each of the compositions. Many of the reimagined songs, as Sondheim notes, are fantasias; a few hew close to the melody line, most range outward, everyone makes a hat. All of the 36 piano works will be performed over three concerts, the first of which takes place September 24 at Birdland. The second is at the Sheen Center on October 22; the third is November 19 at Symphony Space.